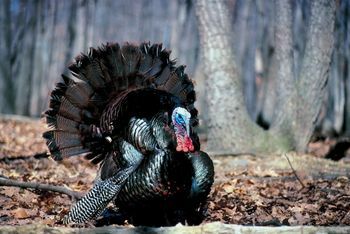 Turkey hunters across the state can expect to see changes to the season as well as to bag limits when a new bill goes into effect. These changes, first brought before the state’s House of Representatives in bill H. 3118, will change the current bag limit from 5 turkeys a season to 3 with only 2 harvests allowed per day. Additionally, turkey season will become consistent throughout the state. Currently, turkey season opens sooner in some game zones, but these new changes will see the season open in all game zones on March 20 and end on May 5. This bill, which is awaiting Governor Haley’s signature in order to become law, is expected to be in effect next spring. Changes to the turkey season are not the only ways legislators are working to save the turkeys and turkey hunting in South Carolina. Rep. Hixon explained that the state has hired a biologist from LSU to study the state’s turkey population. Rep. Hixon said coyotes and predators have taken a toll on the nests of turkeys, and perhaps with this study, just how much of a toll can be determined. “This is going to be a world class study … and other states are going to want to look at it,” Rep. Hixon stated. This study, which is currently on-going, involves fitting approximately 60 turkeys with a special camera and tracking them for three years. “[The study is] something I think is needed,” Rep. Hixon said. Rep. Hixon said that his goal as a hunter and a law maker is to protect the state’s natural resources and make laws applicable to those resources consistent across the state. He said that he believes the current proposed changes to turkey hunting will accomplish this for the time being. The changes also have the support of the National Wild Turkey Federation and the SC Department of Natural Resources. One Response to "Changes Coming for South Carolina Turkey Hunters – Possibly as Soon as Next Year"